Assets America® offers a variety of retail shopping center loans for most types of retail center venues, including shopping center financing and commercial strip mall loans. We arrange loans for shopping center acquisition, development and refinancing, in the form of retail shopping center construction loans, commercial bridge loans, commercial mini-perm loans and permanent take-out loans. Decades of experience allows us to formulate retail shopping center loan programs that are ideal for each unique lending requirement involving anchored and non-anchored shopping centers. Super-Regional Shopping Center Loans: These loans are for dominant structures featuring a minimum of 800,000 square feet of gross leasable area (GLA) and at least three anchors. Super-regionals attract a high volume of shoppers from at least a 25-mile radius via a concentration of mass merchants, merchandisers, boutiques, fast-food and family dining venues, along with ample parking. Attractions might include movie theaters, child play areas, shuttle buses and even amusement parks. Regional and Conventional Retail Shopping Center Loans: Regional shopping malls offer 400,000 to 800,000 square feet of GLA with two or more anchors and a variety of retailers, from high-end to discount. Conventional shopping malls are smaller with typically one or more anchor stores. Community and Neighborhood Strip Mall Loans: These loans cover open-air strip malls, which are linear arrangements of stores fronted by a sidewalk and parking lots. Some malls adopt U-shaped or L-shaped configurations, with GLAs ranging from 5,000 to 400,000 square feet. Strip malls may be anchored or unanchored, with anchoring properties typically being discount department stores, pharmacies or supermarkets. Each retail venue has its own unique features, which is why shopping center financing necessitates careful attention to packaging and presentation. Shopping mall financing requires evaluation of current market conditions, property tenants and leases, and loan repayment considerations. Shopping center lenders evaluate market conditions by analyzing the competitive posture of the property under consideration. The analysis compares the retail property’s actual or projected vacancy/rental rates against those shopping centers and malls that directly complete for similar tenants. Data sources used for underwriting shopping mall loans include government demographic reports and private market reports from the national real estate brokerage firms. CoStar, a leading provider of real estate information, is widely used as a source of rent, vacancy, and sales comp data, as well as supply and demand utilizing 5-year forecasts. Our retail shopping center loans funding sources rely on third-party appraisals to verify their underwriting assumptions. Many data elements go into the market analysis of retail financing, including the population demographics in the target customer area, the traffic patterns adjacent to the property, visibility and signage, and the parking resources available or planned. Obviously, the mom-and-pop store tenants found at small strip malls differ considerably from the tenants at large shopping centers. The small neighborhood stores present an underwriting challenge. In some cases, these stores have no history, whereas others are long-term tenants that add strength to the retail center financing and the project as a whole. 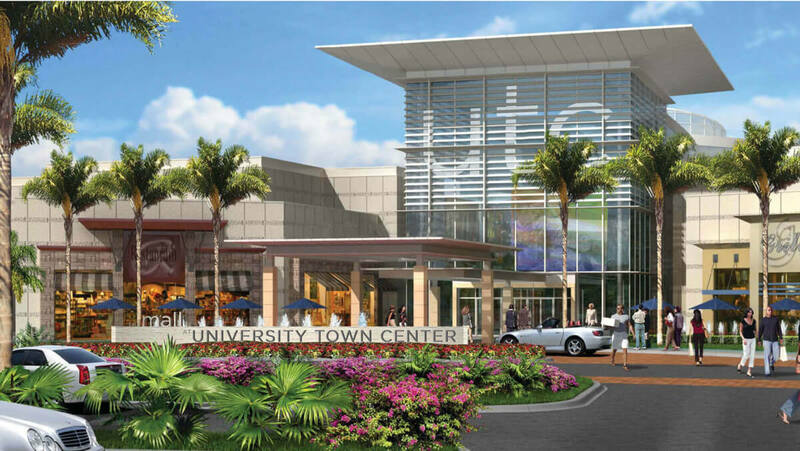 Anchor tenants are key, as they draw shoppers who can be expected to patronize the other stores in the shopping mall. An anchor store that falls into financial difficulties can cast a blanket over efforts to accomplish shopping center refinancing or rehabilitation. It can also have a depressing effect on occupancy rates and lease rates. So too can the departure of a popular anchor, which might choose to relocate to a shiny new shopping center in the same neighborhood. Regional and super-regional shopping malls have multiple anchors and might withstand the loss of an anchor better than smaller, one-anchor properties. Shopping mall lenders examine the rent rolls for monthly rental payments, length of lease, and the square footage under lease. Underwriters must be sensitive to trends that portend a change in the quality of tenants and thus, rental rates. Nothing is more important to a provider of shopping center financing than the assurance it will be repaid, on time and in full. The primary source of repayment cash is rental income, followed by secondary sources (collateral and recourse). The prime characteristic of a retail property is that it produces net operating income (NOI), which is the cash flow remaining after all operating expenses are paid. The ability to service debt stemming from shopping mall financing depends on how much income can be generated from rents, the percentage of rentable of space that is leased, and collection issues for leased space. Before a lender can agree to finance a shopping center, it must underwrite the risks of an NOI shortfall. To that end, sensitivity analysis can be employed to test the effects of downside scenarios. Should rental cash flows fall short to the extent that retail stores cannot make their lease payments on time, providers of shopping center loans look to collateral liquidation as a secondary source of repayment. This requires an accurate collateral property valuation, which shopping center lending underwriters determine through sales and income approaches based on applicable cap rates, comparable sales, and other metrics. Providers of delinquent shopping center loans may have recourse to recover funds if the loans so stipulate. Recourse debt allows creditors to seize debtor assets above and beyond the loan’s collateral. Seizure requires a court process and can be an expensive, time-consuming option. Debtors can declare bankruptcy to slow down the process even further. Nonetheless, including recourse procedures in a shopping center loan is favored by lenders, while borrowers, of course, prefer non-recourse loans. Acquisition: We can provide shopping center financing for the acquisition of existing retail properties. Refinance: Owners of retail centers can refinance their loans to achieve better shopping center loan rates and terms, or when their existing financing is coming to maturity. Construction: Assets America® can finance retail development projects with construction loans and construction bridge loans. Mini-Perm: Once a shopping center is built, owners can refinance their debt with mini-perm loans of one to three years. Take-Out Financing: A final take-out is a mortgage with a typical term of seven or more years. This take-out loan will pay off the construction or mini-perm loan. Standard GLA (Gross Leasable Area) in Sq. Ft.
Costar is a leading and trusted source for commercial real estate intelligence. Use the Shopping Center Business for the latest industry news about shopping center real estate. The International Council of Shopping Centers is a network of over 70,000 professionals with regularly updated information and events across the globe. 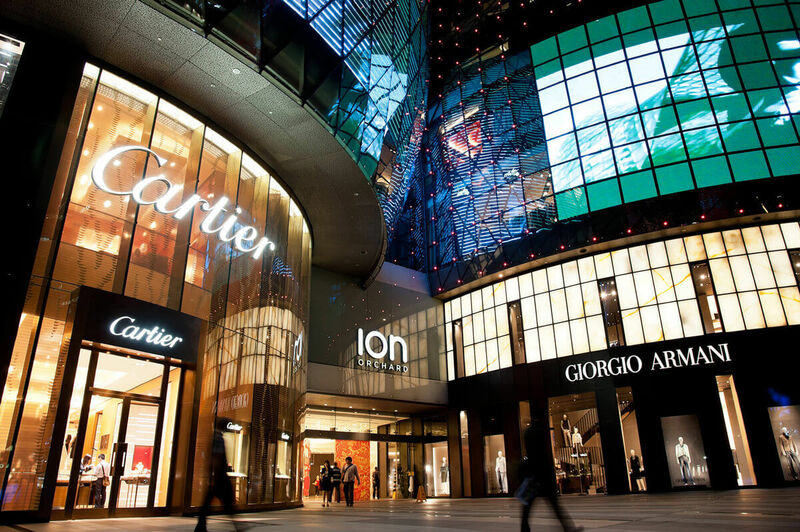 Read this Forbes article on recently evolving trends in the world of retail real estate. Check out news about Shopping and the Retail Industry, including commentary and archival articles published in The New York Times. When you are interested in a commercial real estate loan for a shopping center, turn to Assets America® for phenomenal service built upon more than three decades of experience. Call us today at (206) 622-3000!